What do you perceive? Do you see through your human eyes or your Third Eye? Are you open to new possibilities of other worlds and ways? Close your eyes. Now what do you see? Indigo is the color of the Third Eye Chakra. But, what does the color Indigo mean to you? Why did Indigo lead you to BuildingBeautifulSouls.com? What do you really need to see? Indigo resides between violet and blue on the color wheel. The deeper the tone of Indigo the more likely it is that the symbolism will be profound. Generally Indigo represents our deepest thoughts and spiritual wisdom. The blue in Indigo helps with communication, meditation and peace while the Violet speaks to the higher self, comprehension of the Mysteries and inspiration. Among lightworkers Indigo resonates with the third eye, and therefor grants greater perception. When you need to see beyond concrete reality, Violet is the best color that inspires your soul. Working with this hue brings out our ability to see things clearly, particularly those things that our Higher Mind taps into. Religiously Indigo is the color associated with devotion, service, honesty and dignity. Indigo brings structure to chaos and the letter of the law. It is a right brain color that helps us cope with stress. It can however tip the scales when too prevalent, becoming melodramatic, impractical, zealous and fanatical. Indigo is an excellent highlight for sacred spaces, especially those use for vision quests and meditation. It supports the intuitive self and wisdom gained over many lives. 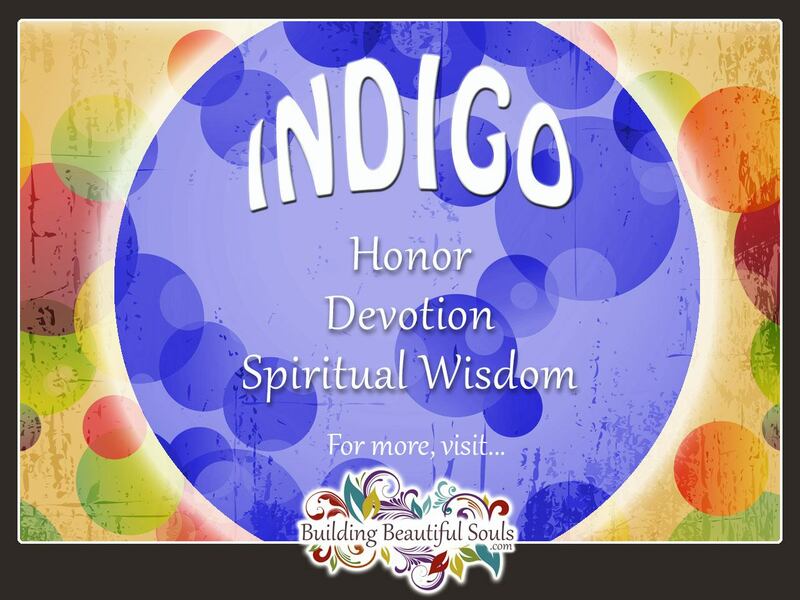 If Indigo is your favorite color it means that your personal truth and word of honor has intense meaning every day. You are a person of orderliness and compassion but have little patience for chaos or lack of compassion in both your friends and your frequented spaces. Your routines are patterned to precision, and you have a fondness for old-fashioned things. People around the Indigo person know they are reliable and trustworthy. When you go into “crunch” time – find an Indigo to help you. Indigos take great pride in accomplishments, particularly those having to deal with spirituality, learning and justice. Indigo people have no trouble interacting with the unseen worlds and other realms. As a Indigo color person you have to be careful about planning ahead so much that you miss important cues here-and-now. This causes anxiety for Indigos who also tend to have somewhat addicted personalities – it could be to pets, or work, or food, etc. but something captures their focus. Indigo people may be a little over the top and melodramatic when anxiety sets in. Nonetheless you are kind and fair to those in your circle, trusting your instincts to guide you. In the New Age movement there has been much discussion about Indigo Children. These souls are thought to have special spiritual aptitudes. Sometimes called Star Children, these kids may represent a new phase in humankind’s evolution, being highly empathic. The parents of Indigo children may struggle because they don’t care much for being told what to do. They are guided by strong self confidence, inventive, and nonconformance. Guilt trips don’t work on them so when you explain something to an Indigo child be ready for a lot of questions. Generally speaking those who resonate with Indigo seek out harmony and acceptance. You have a strong spiritual drive that you need to fulfill or you will find yourself wanting. Love is your law, which can come across as intense to those who do not feel things as you do. Avoid labeling yourself and let your light grow and shine naturally. Psychologists tell us that Indigo affects us by putting us in a concentration mind set. 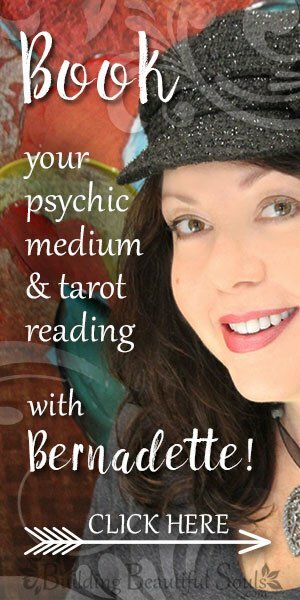 This is ideal for meditation or when you really need to get in touch with your own insights. Working with Indigo helps you focus and plan, and also improves focus when studying religious matters. As a compliment to other colors, Indigo strengthens the right brain. It is a wonderful color for rooms where you study any type of alternative religion or philosophy. Indigo increases your intuitive self and inventiveness, while also stressing responsibility for one’s actions and outcomes. A fearful person, or one seeking fresh insights would do well to add Indigo to their clothing selections. Indigo stresses liberation, vision, structure, the 6th sense, faith and freedom. Just be careful with the darker tones as they may negatively impact someone suffering with depression. Its interesting to note that the Egyptians used Indigo (Lapis) for all manner of decorations and pieces of jewelry including head pieces. In terms of spiritual gifts, it inspires clairvoyance , good decision making, ESP, the Adept Path and activates the third eye. When you want to embrace your inner psychic, work with Indigo. Bluer Indigo represents honesty, trust and solid foundations. Dark Purple Indigo represents leadership and power. The color Indigo is between Blue and Violet (Purple) on the color wheel. Because of this, we are including all Blue & Purple healing crystals and stones. A deep, rich jewel toned Indigo colored crystal or stone can be an incredible resource for those who wish to clear, cleanse, and power up their psychic connection. Purple Agate – balance, clear communication, scales of justice. Alexandrite – multiverse, good fortune, ultimate Crown Chakra stone. Amethyst – protection, purification, communication with the divine. Ametrine – optimism, removes emotional blockages, higher consciousness. Angelite – peace, compassion, spiritual connections. Azurite – powerful Shamanic healing, honesty. Celestite – accessing the angelic realms. Charoite – mindfulness, removes negativity, helps support learning. Fluorite – focus, meditation, psychic protection. Labradorite power of water, emotions, builds confidence. Lapis Lazuli – chakra balancing, deep introspection, psychic protection. Spirit Quartz – brings harmony and peace, universal love. Blue Sapphire – true intentions, Third Eye Chakra, psychic awareness. Sodalite – astrology, intuition, higher education, speaking. Sugilite – perfect spiritual love, protects against harsh realities and prejudice. Topaz – The Writer’s Stone, clear expression, connection to the muses. Just as with the crystals, because the color Indigo is between Blue and Violet on the color wheel, we’ve included all Blue and Purple flowers for the Indigo flowers list. Agapanthus – known as ‘Lily of the Nile’, magical and eternal love. Cornflowers – tenderness, reliability, fidelity. Purple Crocus – rebirth, rising again from the ashes. Blue Iris Iris (Rainbow Goddess), link between heaven and earth. Purple Iris – feminine divine, women’s intuition, royalty. Lavender – calm, dignity, serenity. Lilac – first love, innocence, initiation. Purple Lily – royalty, fleur de lis, grace. Purple Lotus – mysticism, Buddha, faith. Periwinkle reaching full potential, dreams come true. Morning Glory, love never ending, resurrection. Sweet Pea thanks, bliss, delicate love. Purple Salvia – psychic connection, wisdom, long life. Violet bloom where you’re planted, surviving and thriving against the odds. African Violet – devotion, sincerity, protection. and suddenly the blue will not seem so dark, more like the color of a noon-bright sky.